When most people think of architecture, major cities like Chicago, New York, and San Francisco come to mind. But while plenty of those big cities are renowned for their awe-inspiring buildings, there are just as many American small towns that are equally impressive. These 30 small towns are some of the most architecturally impressive in America. Whether your architectural interests lean towards landscape architecture, the preservation of historic buildings, various revival styles, or something else entirely, chances are there is a small town in America to send your architect’s heart aflutter. Each town on this list has fewer than 100,000 people (according to the last census) and at least one notable architectural attraction. They were chosen and ranked based upon their overall appeal to the average person with an interest in architecture. Those towns with more specific architectural features, or a variety of impressive structures, were ranked higher than those towns with a single architecture feature or a general style. Known as one of the best restaurant towns in the South, Breaux Bridge, Louisiana is a popular weekend getaway for New Orleans natives. Visitors to Breaux Bridge head straight for the walkable downtown stretch of Bridge Street. Here, historic homes and buildings are plentiful and include the Maison des Amis and Au Bayou Teche bed and breakfasts. Though much of Breaux Bridge was damaged during Hurricane Katrina, the little town has done a wonderful job rebuilding, yet retaining, its cool Southern charm. Beaufort’s downtown historic district, which has been designated a National Historic Landmark, has retained many remnants of its days as an English colonial settlement and as a hotspot in the antebellum South. Today, the downtown is separated into five neighborhoods: Downtown, Old Point, The Bluff, The Old Commons, and the Northwest Quadrant, all of which boast unique and charming examples of traditional American architecture styles. Especially impressive to architecture buffs are the residential areas of neighborhoods such as Battery Creek, Spanish Point, and Pigeon Point. In recent years, Beaufort has seen rapid increases in population and home sales, with many of the original colonial and antebellum homes being privately purchased and renovated or restored. Situated beside Lake Champlain, Burlington, Vermont is best known for its nearby ski resorts and university. The town itself is flush with impressive architecture of the Colonial, Federal, and even Modern styles. To view the best of what Burlington has to offer architecturally, visitors should head straight to downtown’s Church Street, which Livability called “the center of culture and student life.” In addition to the architecture, visitors should also enjoy the charming mix of commerce, culture, and street performers that Church Street has to offer. Tarrytown, New York has long been known as a popular weekend getaway and as a charming old town with a rich history (it was a stop on the Underground Railroad and was mentioned in “The Legend of Sleepy Hollow”), but Tarrytown is also home to a plethora of unique architecture. Most notable is Lyndhurst, the castle-like mansion that once belonged to robber baron Jay Gould. Weekenders may flock to Tarrytown for the myriad cultural and recreational activities the town offers, but no visit would be complete without a tour of Lyndhurst’s perfectly preserved Gothic Revival architecture. Cape Cod-style architecture can be found just about anywhere in the country, but nowhere is it as perfect as Rockport, Massachusetts, the absurdly picturesque community that doubled for Alaska in the 2009 hit “The Proposal.” The little town of approximately 7,500 people has been called the “quintessential New England seaside village.” There are plenty of wonderful examples of traditional Cape Cod homes and buildings to feast one’s eyes upon, including the unique The Paper House, which is a home constructed of actual newspaper. Finally, no visit to Rockport is complete without a stroll past the small craft stores on Bearskin Neck, a small land area that juts into Rockport’s harbor. South Dakota is a city like no other. The 1876 gold rush brought a thriving society to the heart of the Black Hills region. Though the gold ran out, Deadwood’s historical and cultural significance remained thanks in large part to its architecture. This extensive collection of Victorian architecture is unique to the American West, and can be seen in some of Deadwood’s 80-plus 19th century gaming halls, inns, and stores. Those interested in preservation architecture are most likely to get a kick out of Deadwood. The town has dedicated itself to accurate restoration of its unique architecture, and has been rewarded with the entire city being placed on the National Historic Register. Situated near Napa in the midst of California wine country, tiny Calistoga is chock full of architecture both impressive and absurdly picturesque. Not surprisingly, most of these are wineries and bed and breakfasts. The Indian Springs Spa & Resort, for one, is a beautiful example of the elevated Spanish style architecture that seems to be favored in this region. 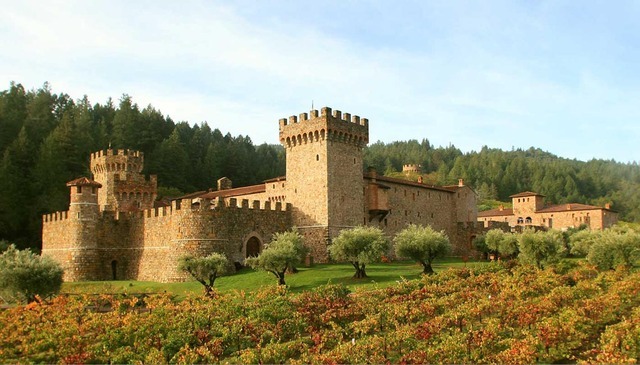 For something completely different, a visit to the winery Castello di Amoroso has become a Calistoga must-do. The visually impressive winery was designed as authentically as possible in order to resemble European medieval castles and is complete with a moat and drawbridge, high walls and towers, a great hall, courtyards, a big kitchen, an outdoor brick oven, secret passageways, and — of course — an incredibly impressive wine cellar. Most people head to Galena, Illinois to enjoy its modern attractions such as ski lodges, art galleries, fine dining, and breweries. But Galena, which was founded in the mid-1880s by local miners, should be just as well known for its historic remains. In fact, more than 85% of Galena’s 19th century buildings have been preserved and given a spot on the National Register of Historic Places. The century-old buildings in Galena’s downtown are now home to more than 90 shops, hotels, and restaurants, and perfectly illustrate the successful preservation movement that has been inspiring other American small towns to reinvent themselves. Exeter, New Hampshire, founded in 1638, is one of those perfectly picturesque historic New England towns. Downtown is the traditional Colonial-style American Independence Museum, where way back when originals of both the Declaration of Independence and the Constitution were printed (original drafts are still there). The creme de la creme of Exeter, however, is what keeps the town on the map and that is Phillips Exeter Academy. The perfectly manicured landscaping is impressive enough, though the true gems are the fine examples of architecture. The campus has flawlessly mixed the historic buildings with more modern examples designed by such modern masters as Louis Kahn. Founded in 1778, Abingdon, Virginia is a small town situated in the beautiful Blue Ridge Highlands. Abingdon is made up of perfectly preserved antique wood-frame houses, old trees, brick sidewalks, and historical buildings that would make any fan of historical architecture go weak in the knees. Other impressive buildings include the Georgian-style Martha Washington Hotel & Spa, built in 1832, and the Tavern Restaurant, which is one of the oldest buildings west of the Blue Ridge. The most famous building in Abingdon, however, is the Barter Theater. Completed in 1933 during the Great Depression, the theater boasts two stages and has hosted such legends as Patricia Neal, Gregory Peck, Frances Fisher, Ned Beatty, and Ernest Borgnine, among many others. Coshocton, Ohio is known throughout the Midwest for its many architectural gems. 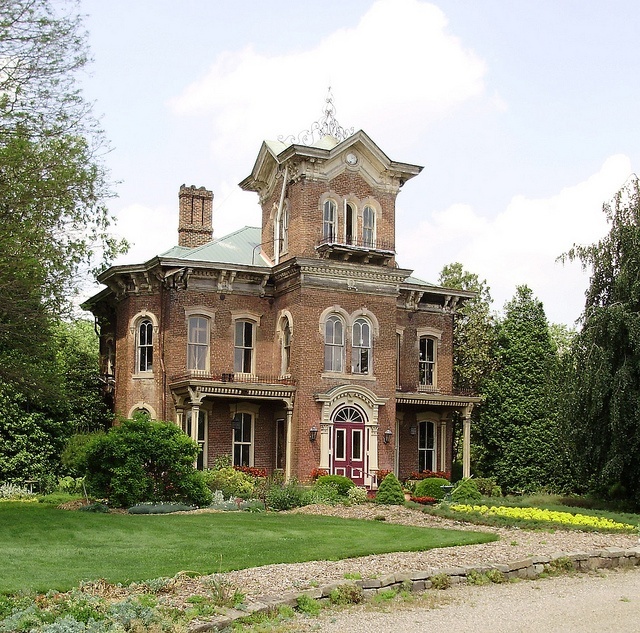 Despite the fact that most “foreign” styles weren’t popular in midwestern states, Coshocton is full of residential homes built the styles of Victorian, Federal, Queen Anne, Tudor Revival, and Greek Revival. Architectural gems amongst the town’s public buildings include the Adams-Grey House, Chalfant Church, and the Coshocton County Courthouse. There’s a little bit of something for every architecture lover in Williamstown, Massachusetts. Originally settled in the mid-1700s, Williamstown has its fair share of gorgeous examples of colonial architecture, apparent in everything from residences to the elite liberal arts colleges that call the town home. Those interested in preservation architecture are sure to enjoy the 1753 House, which was actually built in 1953 to celebrate Williamstown’s 200th birthday. Volunteers used only 18th-century building materials and tools to construct the impressive replica house. Those interested in more modern designs should visit the Clark Art Institute, which recently unveiled an impressive new extension designed by self-taught Japanese architect Tadao Ando. First settled in 1780, Bardstown, Kentucky is a charming small town listed on the National Register of Historic Places. Bardstown’s Historic District consists of 26 blocks and 279 properties dating from the 18th and 19th centuries, the most interesting of which include the Cobblestone Path (a cobblestone foot path dating from before the Civil War), the Nelson County Jail, Old L & N Station, Spalding Hall, and Old Talbott Tavern — each of which appear individually on the National Register as well. 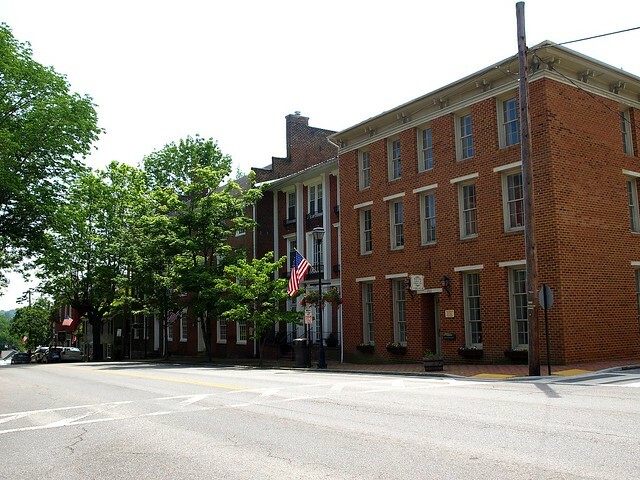 Over a third of Bardstown’s architecture is Federal or Georgian in style, though nearly every building in this picturesque town has been lovingly preserved for visitors interested in both history and architecture. Considering it’s the birthplace of Frank Lloyd Wright, it’s no wonder that Richland Center, Wisconsin is considered one of the most impressively architectural small towns. Richland Center began as an agricultural community, and many of its original 1850s buildings remain. The most famous Wright-designed building is likely the A.D. German Warehouse, constructed in 1915. Architecture enthusiasts are also likely to be impressed by the Richland Center Auditorium, which architect Percy Bently “modernized” in the Classical style. 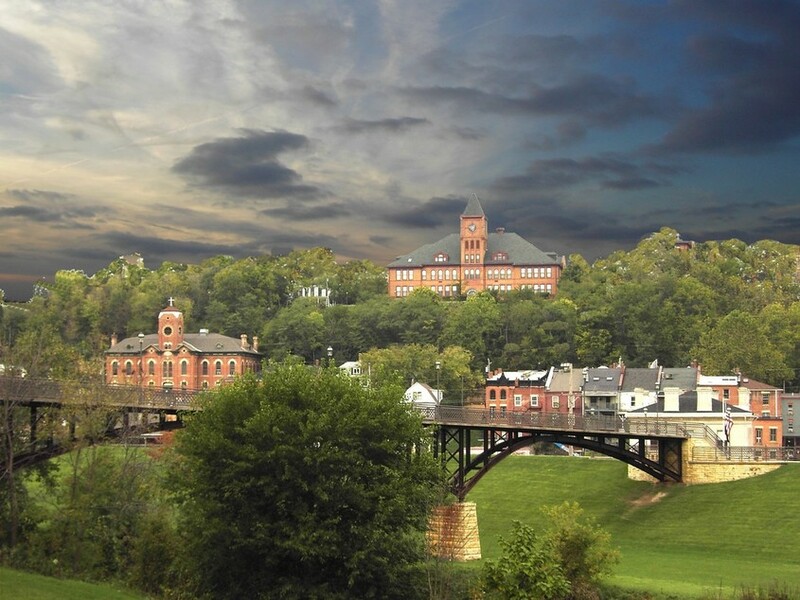 To see all of Richland Center’s impressive architecture, visitors can take the Heritage and Architectural Walking Tours and see the Opera House, the Bowen Carriage House, DeLap-Bailey House, and The Depot, among many others. Tourist haven Pigeon Forge, Tennessee boasts an eclectic mix of architecture that ranges from The Old Mill, built in 1830 and now a National Historic Site, to a full-scale replica of the Titanic, to the “upside down” Wonderworks building. In 1986, Dolly Parton added her own contribution to Pigeon Forge’s architectural array by choosing the town as the site of her Dollywood theme park, complete with buildings reminiscent of the Old South. For those architecture aficionados looking for something a little more serious, Pigeon Forge also has a myriad of more traditional southern architecture in the form of estate-like log cabin homes. Whether you’re an aficionado of all things mid-century modern or just nostalgic for better days, Wildwood, New Jersey is worth a visit. 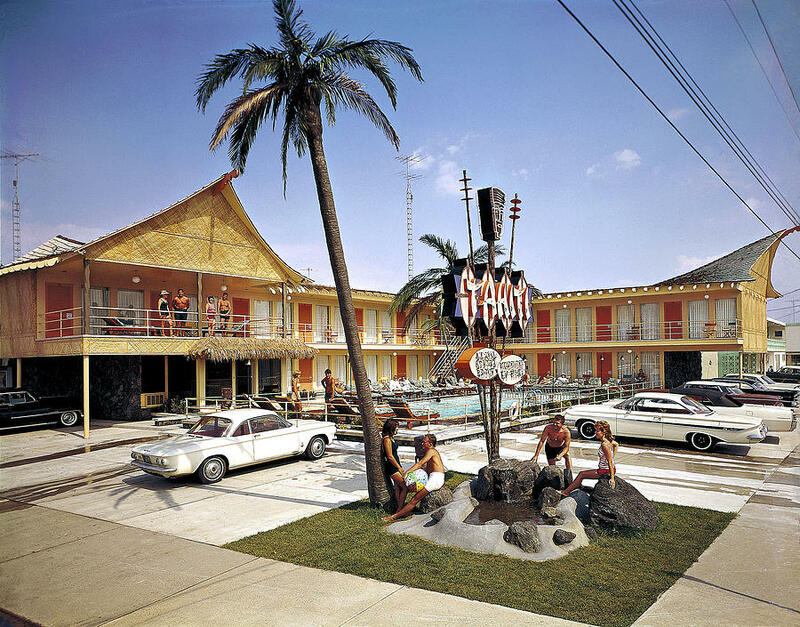 The small beachside town was the epicenter for the motel boom that began in the 1950s. To differentiate their motel from the countless others, Wildwood’s motel owners began to add neon signs, bold colors, curved balconies, kidney-shaped pools, and anything else that might catch the eye of passersby. Most of these kitschy and well-maintained motels remain along Wildwood’s main roads, complete with nostalgic names like Tahiti, The Satellite, and Eden Roc. Ironically, we can thank mass devastation for Cape May, New Jersey’s reputation as a hub of historical architecture. When a fire in 1878 destroyed much of the town, most residents chose to rebuild in styles popular during the early and late Victorian periods: Italianate, Gothic Revival, Second Empire Style, and Queen Anne. Today, more than 600 of these buildings remain well preserved, making the small town a huge draw for architecture buffs, filmmakers, and other interested visitors. 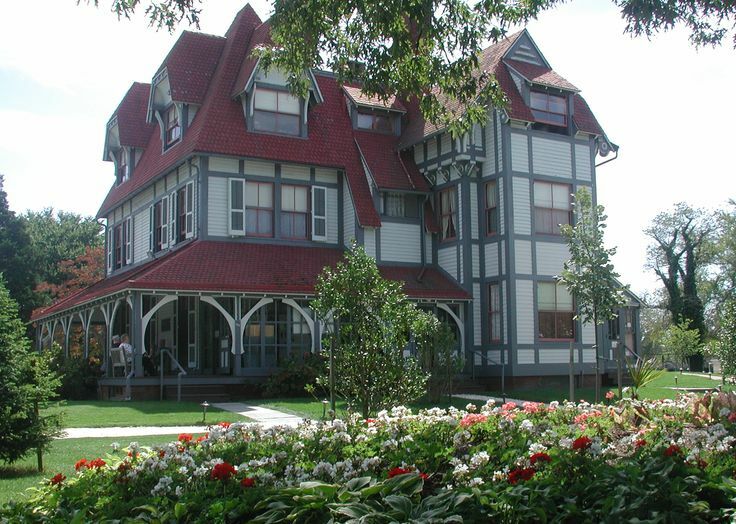 Especially impressive Cape May buildings include the Chalfonte Hotel, the Hotel Macomber, the New Jersey Trust and Safe Deposit Company, and the Physick Estate. Situated in downtown Santa Fe, New Mexico are two impressive examples of Southwestern architecture. The Loretto Chapel, a former Catholic church turned museum and wedding venue, is known for its odd helix-shaped spiral staircase. The designer of the staircase is not known, but the “Miraculous Stair” has been the longstanding subject of legends and rumors that attract hundreds of interested visitors per year. If visiting Santa Fe for the Loretto Chapel, it is worth checking out the Palace of the Governors, located in the Santa Fe Historic District. Originally built in 1610 out of adobe, the Palace once served as the seat of government for the state of New Mexico. Today, it is the oldest continuously occupied public building in the United States. Little Solvang, California sits in the hills of Santa Barbara County. It was founded in 1911 by a group of Danes who had traveled west in hopes of establishing a Danish colony. Today, Solvang is home to a number of Danish bakeries, restaurants, and merchants. The entire town is an architectural wonderland, with many of the facades and buildings reflecting traditional Danish style. A 1:3 scale replica of Copenhagen’s Round Tower sits in the town center, and nearby are statues of Hans Christian Anderson and the Little Mermaid. Mission Santa Ines, one of the California missions listed as a National Historic Landmark, is also located nearby. 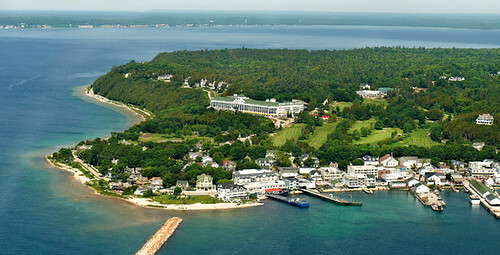 A visit to Mackinac Island feels like stepping back in time to America’s Golden Age. Cars are banned, so bicycles and horse carriages pass charming bed and breakfasts, traditional taverns, and the 1700s fort on cobblestone streets. Mackinac’s crown jewel is undoubtedly the Grand Hotel, the massive Victorian-era resort sitting on a bluff between two peninsulas. Built by Detroit architects Mason and Rice, the Grand Hotel boasts the longest front porch in the world (660 feet in length) which overlooks the famous Tea Garden and Esther Williams swimming pool. Inside, no two rooms are the same in terms of interior design and architecture. Though all the Grand’s rooms are impressive, seven suites have been named for and designed by former First Ladies, including Jackie Kennedy, Nancy Reagan, and Laura Bush. Despite the fact its been inhabited for almost 1,000 years, Taos, New Mexico has only recently established itself as a haven for great winter skiing and the best of the best of southwestern-style artists. Much of Taos’ architecture is directly inspired by traditional southwestern design, though its most famous building is as genuine as they get. The Taos Pueblo is a well-preserved five-story building just outside the main downtown. As impressive as it is in style, perhaps the most impressive thing about the pueblo is that its well-maintained adobe walls are big enough to house more than 100 people. Though visitors may come to Taos for the skiing or the art, no trip is complete without a visit to the National Historic Landmark that is the Taos Pueblo. Tiny Mason City, Iowa, is known for having one of the largest collections of Prairie-style homes in the world. 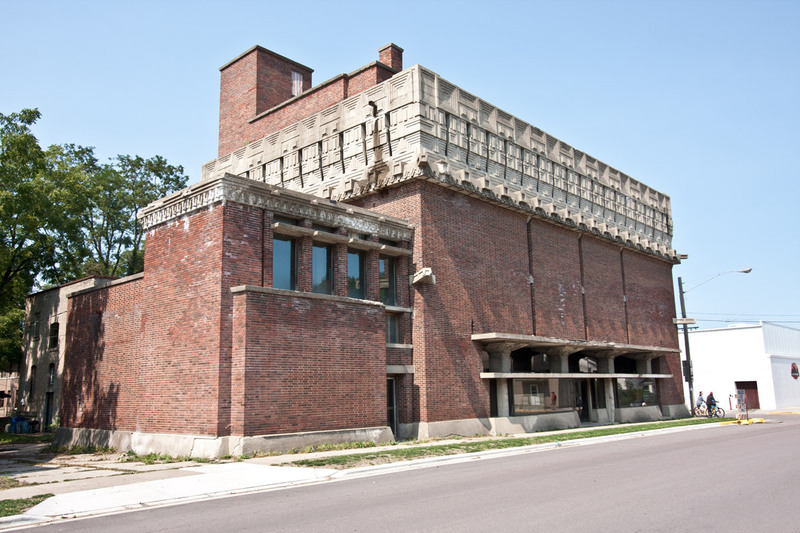 In fact, Mason City is the location of Frank Lloyd Wright’s famed Prairie School. Defined by its low profiles, horizontal lines, natural lighting, and uninterrupted flow between the indoor and the outdoor, “prairie style” is directly inspired by the flat terrain and open sky of the Midwest. 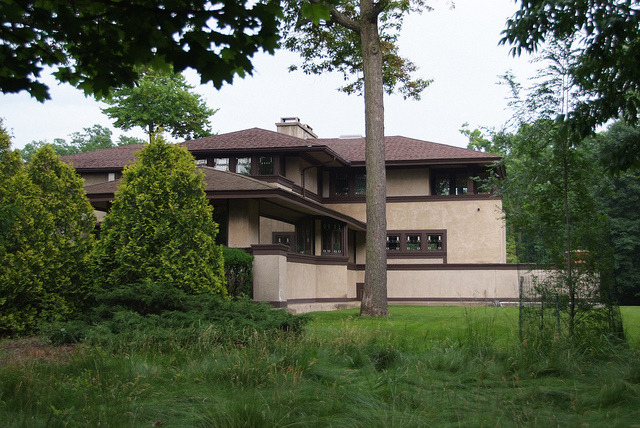 In addition to the Prairie School, Wright’s architecture is also represented by the 1908 G.C. Stockman house. Though perhaps less impressive to purists, a number of “copy-cat” architects also constructed similarly styled buildings that are no less impressive. 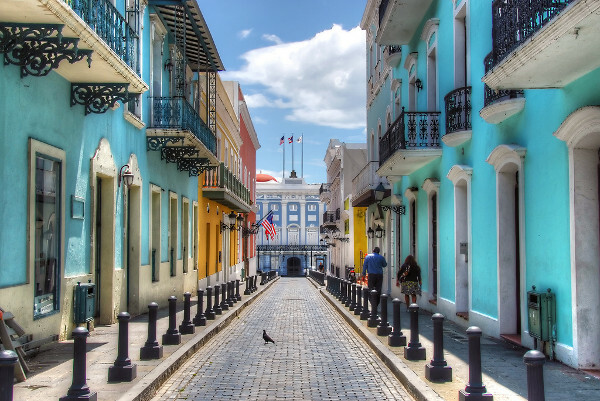 Old San Juan sits on a small island located just east of the much bigger main island of the Puerto Rican capital. Cross any one of the three bridges connecting Old San Juan with the mainland, and you will instantly feel as if you have traveled back in time to a 17th century Spanish colony. European-style cobblestone streets lead wanderers through the narrow streets, past historic buildings and homes. The old fort still stands on one edge of the island, guarding what was once known as the “rich port.” With its mix of old world charm and perfectly preserved Spanish-style buildings, it is no wonder that Old San Juan has been considered the Caribbean’s best and most beautiful city. Founded in 1565, St. Augustine, Florida holds the unique title of oldest city in the United States that was occupied by Europeans (it was held by the Spanish until it was traded to the British in exchange for Havana). Thanks to its fascinating history, much of St. Augustine’s architecture — both new and old — is done in eye-catching Spanish styles. Architecture buffs should head straight to the picturesque historic district, which is easily explored by foot and chock-full of old-world charm and historic homes. St. Augustine’s crown jewel is undoubtedly Castillo de San Marcos, which once defended La Florida. Officially the country’s oldest fort, the 17th century structure boasts impressive turrets, a moat, and a double drawbridge. Retro never goes out of style in Palm Springs, a small — but swanky — California town known for a dramatic desert backdrop, lush golf courses, and mid-century architecture. 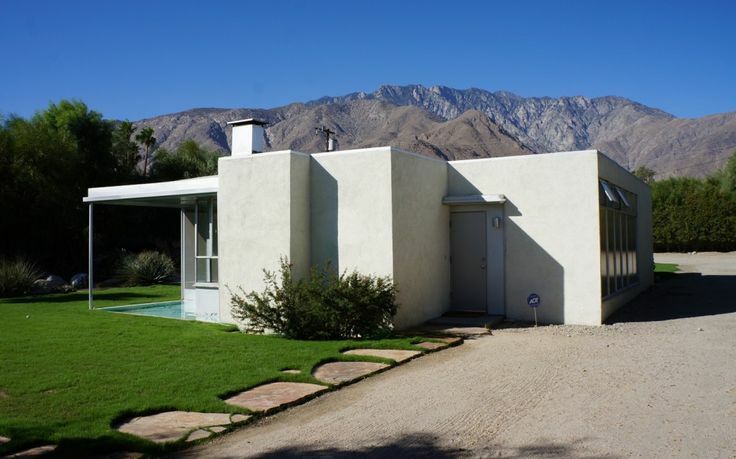 In fact, tiny Palm Springs is where mid-century modern bungalows, now often called Desert Modernism, got its start in the 1920s. Defined by its use of glass, clean lines, natural resources, and indoor/outdoor spaces, Mid-Century Modern is a timeless architectural style that has experienced renewed popularity with the success of television shows like “Mad Men.” Architecture lovers can stay in a retro retreat, take a mid-century architecture tour, or just wander around the town to see countless examples of work by notable mid-century architects like John Porter Clark, William F. Cody, Richard Neutra, and John Lautner. Lovers of architecture may just consider Santa Barbara, California heaven on earth. Not only does the coastal California town ooze natural beauty, great weather, and a cool atmosphere, but it has also become a living timeline of world architecture. 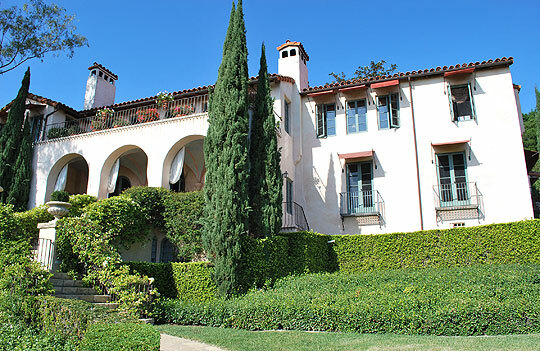 Architectural styles in Santa Barbara include Spanish Colonial, Mexican Period, Victorian, Revivalism (Post-Victorian), American Colonial, Medieval, Mediterranean, Craftsman, Spanish Colonial Revival, period buildings of the 1920s and 1930s, and Modern. Though one can find a myriad of examples for any one of these styles, it is perhaps Spanish Colonial that most purely represents Santa Barbara. Arches, courtyards, tile roofs, and adobe adorn dozens of houses and buildings within the town. Especially impressive Santa Barbara buildings include the courthouse, the Fox-Arlington Theater, the Biltmore Hotel, and the Crematorium at the Santa Barbara Cemetery.